We live in a world of visual information, with the younger generation exposed to more visual content than ever before. They have at their disposal unlimited graphic media that uses diagrams, illustrations, infographics, and videos. 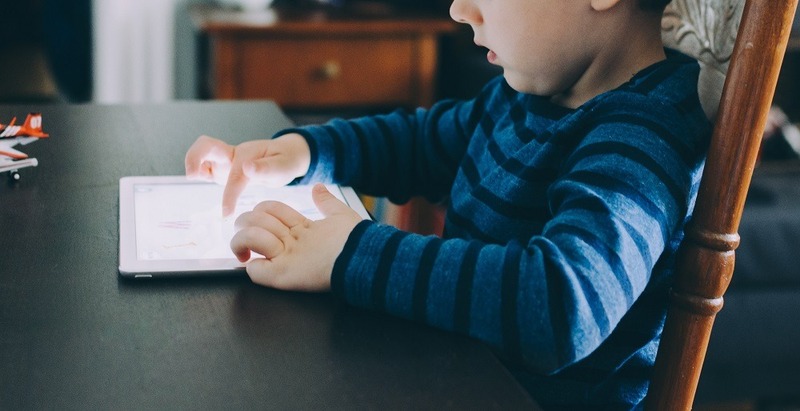 And although these types of learning tools have been used for decades, with the development of new technology in education, they’re now more accessible than ever before. What makes visual learners different from the auditory, tactile, and kinesthetic learning types? Visual learners prefer to learn by what they see, as they think in pictures instead of with words. They’re more successful when they learn using visual images, watching demonstrations, and following written instructions. Children who are visual learners get a lot of enjoyment from puzzles, games with visual patterns, mazes, and building with Lego. …unless our words, concepts, ideas are hooked onto an image, they will go in one ear, sail through the brain, and go out the other ear. Words are processed by our short-term memory where we can only retain about 7 bits of information (plus or minus 2) […]. Images, on the other hand, go directly into long-term memory where they are indelibly etched. Visual learners are able to take what they see and quickly and efficiently comprehend the information. They can easily imagine the images that they see, finding connections and patterns between different ideas in ways they can’t when this same information is presented to them verbally. Visual learners will often be confused by verbal information and instructions, preferring to get the information down on paper where they can read the words. You’ll recognize visual learners in the classroom – they keep detailed written notes in notebooks, often using creative ways to organize information. Younger students will use doodles and lots of color to keep information vibrant and memorable while students in higher grades use their own visual aids to stay organized, such as mind maps and charts. Developed for young readers aged 3 to 8 who are learning reading skills, and for kids 8 to 12 to help them with reading comprehension, Squiggle Park is ideal for visual learners – it’s bright, vibrant, and fun as it uses games to engage kids and build up their language and reading skills. Founded by Canadians Leah Skerry and Julia Rivard Dexter in 2017, Squiggle Park is being used by over 6000 schools around the world. Kidspiration is software that was developed for young K-5 visual learners . Branded as “the visual way to explore and understand words, numbers, and concepts”, this EdTech tool uses graphics to help students make visual connections to basic skills in math, science, reading, writing, and social studies. While not as flashy as other EdTech out there, Kidspiration is easy to use and keeps kids visually involved in the learning process. Sumdog is a good educational tool for K-5 students, developed to “motivate children to work on maths, reading and writing”. Visual learners will quickly engage with the graphics, learning new skills as they compete with other students from around the world. Used worldwide in thousands of schools, Sumdog is also being used by the Ontario and WNCP (Western and Northern Canadian Protocol) school curriculums. On a personal note, no login was needed to play math games at Sumdog, so I played Junkpile with “Blue Whale”, a grade school student from New Jersey – and didn’t fare too well with the fractions! Students today want more visual content no matter what their learning style. They’re becoming more and more familiar learning information visually as educators and parents acknowledge learning styles and the teaching methods that work best for each type. By providing a variety of EdTech tools in the classroom and at home, we’re able to give visual learners the advantages to obtain the skills they need to succeed as they continue their education. And they certainly won’t be lacking in selecting visual learning methods as new educational software applications are being developed every year.